Crafts, activities, storytime, and more with your little sprouts in mind. We know how squirrelly the kids can get while you’re trying to get anything at all done, and we’ve designed our Kids Corner program with that in mind! 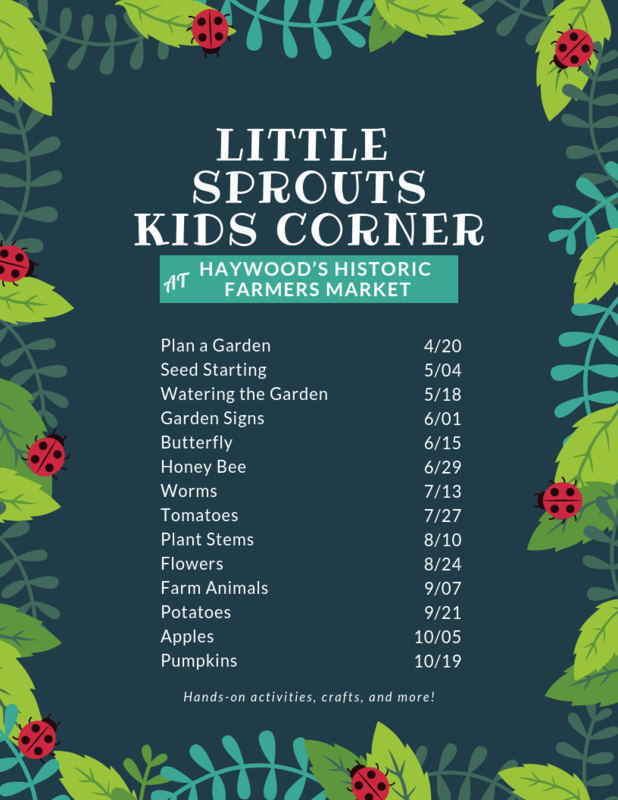 Our Kids Corner activities are designed to be not only hands-on, experiential-style projects but also educational on subjects like farming, local food, conservation, and all the reasons you choose to shop local and support family farmers and small businesses! Look for themes like growing & raising food, plant biology, pollinators, and soil ecology. Stop in at the Market Information tent at the front of the market for more details.